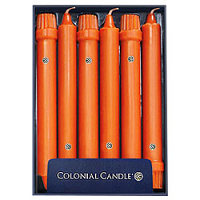 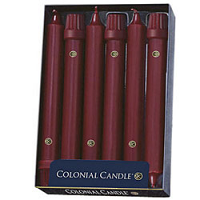 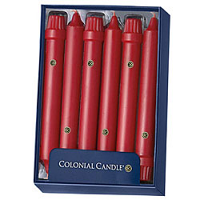 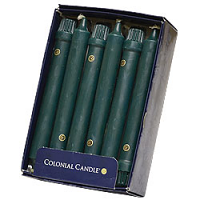 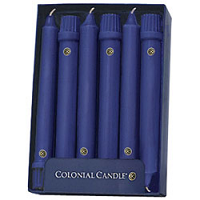 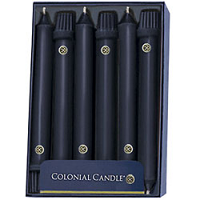 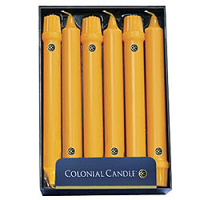 We sell 12 inch taper candles made by Colonial Candle which actually have straight sides. 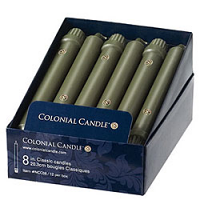 Using these tall taper candles is a great way to create a romantic ambiance at a dinner for two. 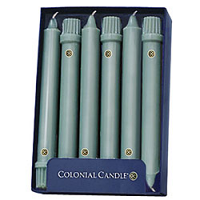 These unscented taper candles are a solid color and use a cotton wick. 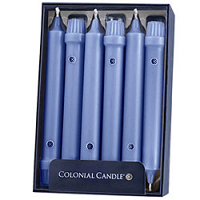 They will fit into standard size taper holders. 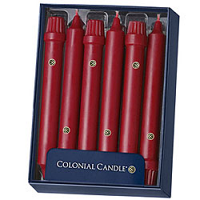 The candles are priced and sold individually. 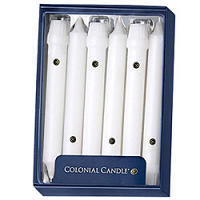 Each one will burn at a rate of 1 to 1.5 inches per hour. 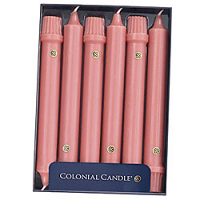 The candle was beautiful and worked as described, except it did not play Happy Birthday.